Pirelli exclusive video shows the stresses that tyres go through on a lap of the Monza circuit. To win a race in the Isle of Man Tourist Trophy is to sit with? the gods! Hold your breath as the title is won by just 0.006 seconds! Some of the very best of Vintage Motorcycle racing! 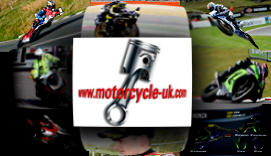 Motorcycle UK started in 1995 and has become THE destination for quality motorcycle news, videos and motorcycle accessories..
Motorcycle UK has been online since 1995 and part of our networked group of websites covering the whole spectrum of motorcycling in the UK. We have long been known as the place to visit for straightforward honest advice and the destination of choice for the motorcycling community. If you you have any feedback or would like to get in contact email us at business@motorcycle-uk.com.